Award-winning Irish author, journalist and playwright Colm Tóibín, will be officially installed as Chancellor as part of Graduation celebrations which begin on Monday, 17 July. Alongside the installation of Chancellor, the University will award six esteemed figures with honorary degrees including the British Nigerian historian, David Olusoga, ecologist and conservation scientist, Dame Georgina Mace and Hillsborough lawyer, Elkan Abrahamson. An alumnus of the University, David Olusoga is an award-winning historian, writer and broadcaster. He has presented a number of historical documentaries on the BBC and contributed to `The One Show’ and `The Guardian’. His research interests range from the rise of Nazi Germany in colonial context to the legacies of the British slave trade. David will co-present a new BBC TV series, Civilisations, with Mary Beard and Simon Schama due to be broadcast later this year. Dame Georgina Mace is Professor of Biodiversity and Ecosystems at University College London. Her research interests looks at measuring the trends and consequences of biodiversity loss and ecosystem change and she led the development of criteria for listing species on IUCN’s Red List of threatened species. Elkan Abrahamson is a human rights lawyer who represented 20 of the Hillsborough families in the recent inquest. He is one of Liverpool’s foremost advocates of social justice, having worked as a lawyer for over 30 years, representing some of the most vulnerable and marginalised clients in a number of high profile cases. Paul Brett studied Geography at the University of Liverpool, graduating in 1965. A former Chief Executive of Thomson Travel Group Plc, Paul made a generous donation to the University to support a new teaching facility for MBA students named the Brett Building on Oxford Street. Thelma Handy is a violinist and joint leader of the Royal Liverpool Philharmonic Orchestra since 2005. She is a strong supporter of the Philharmonic’s Harmony project which uses orchestral music-making to improve the health, education and aspirations of children and young people in Everton. Born in Bebington and educated at Birkenhead School, Admiral Sir Philip Jones is a senior Royal Navy officer. After service in the South Atlantic in 1982 during the Falklands War, he commanded the frigates HMS Beaver and HMS Coventry. In 2016 he took over as First Sea Lord and Chief of Naval Staff. The installation of the new Chancellor will take place on Monday, 17 July 2017 at a ceremony starting at 9.30am. The honorary degrees will be conferred during a week of ceremonies at the Liverpool Philharmonic Hall from Monday, 17 July, in which more than 6,000 students will graduate. The University’s graduation ceremonies will also be streamed live online. 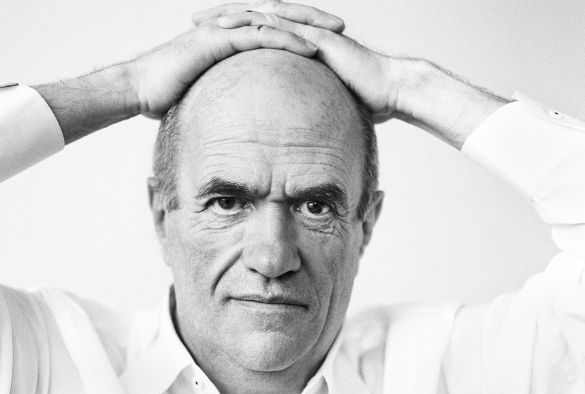 Monday, 17 July, 9.30am – Installation of Colm Tóibín, as Chancellor. Tuesday, 18 July, 9.30am – Professor Dame Georgina Mace (Honorary Degree of Doctor of Science).